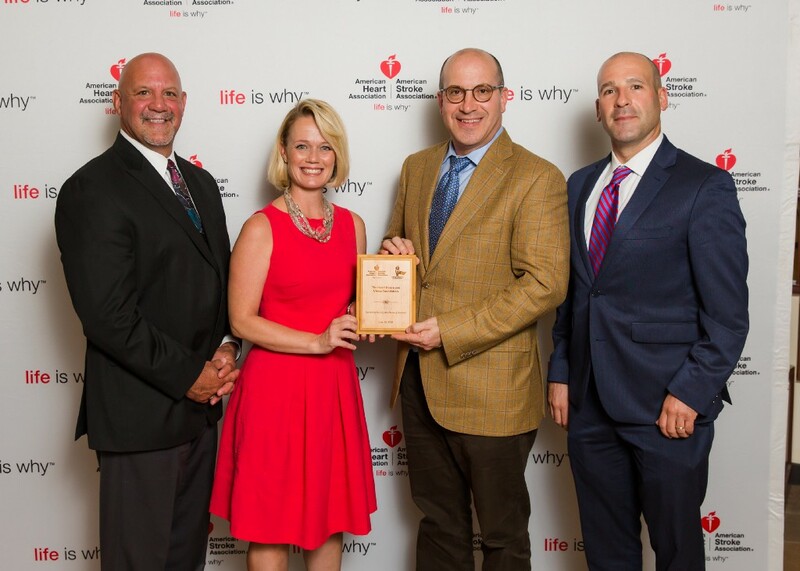 The American Heart Association and American Stroke Association recognizes Burlington County hospital and school for efforts to strengthen the Chain of Survival. Nearly 350,000 people suffer cardiac arrest outside of a hospital every year. Given immediately, CPR doubles or triples survival rates and executing the Chain of Survival can save thousands of lives annually. Additionally, someone suffers a stroke every 40 seconds, while someone dies from a stroke every four minutes. Time is crucial for stroke treatment, the faster the Chain of Survival is initiated and symptoms are recognized, the better the outcome. 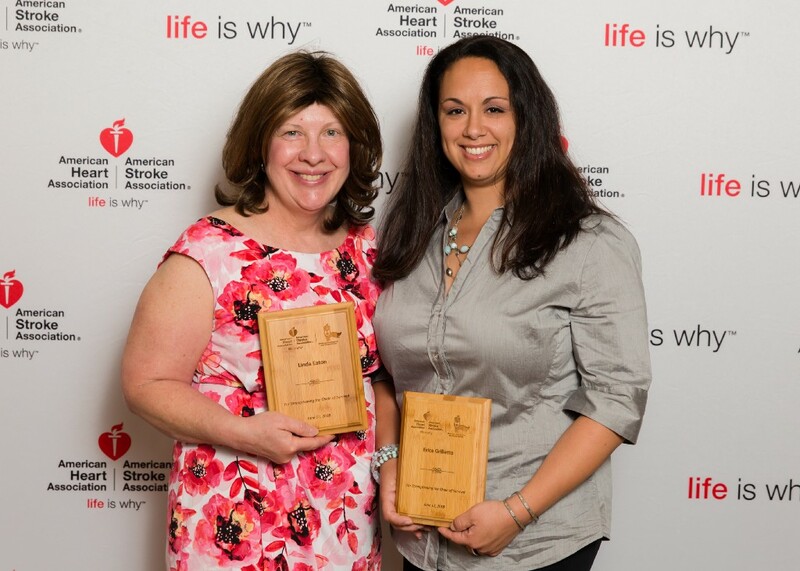 New Jersey American Heartsavers and Stroke Heroes awardees Linda Eaton and Erica Grilletto are school nurses at Peter Muschal Elementary School in Bordentown, NJ. Linda and Erica took responsibility for improving and formally adopting a Cardiac Emergency Response Plan to assure a meticulously orchestrated response to any cardiac emergency. Thanks to their efforts and leadership, a new AED/CPR committee was formed which focused on evaluating and improving response to an emergency. Their goals included establishing a communication system, increasing the number of drills in order to reduce response time through practice, and doubling the number of AED/CPR certified staff members in the building. The Heart House and Virtua Foundation were also recognized for their outstanding commitment to strengthening the community’s ability to respond to a cardiac emergency. The Heart House and Virtua Foundation came together in May of 2017 to create an initiative which would impact Burlington and Camden County communities with education and equipment. Thanks to this partnership, 25 life-saving AEDS have been distributed to organizations in the south Jersey community including churches, golf courses, athletic fields and community centers. Additionally, each group received an overview on how to use the device, resources for CPR training and a free educational program focused on cardiovascular health. The American Heartsaver Recognition Program is an initiative supporting the American Heart Association’s efforts to strengthen the Chain of Survival in our communities as part of their impact goal to improve the cardiovascular health of all Americans while reducing death and disability from heart disease and stroke by 20 percent by the year 2020. Anyone can learn CPR and know the signs of a stroke. Visit www.heart.org/handsonlyCPR for a short instructional video on hands-only CPR that could help save a life. · Face Drooping: Does one side of the face droop or is it numb? Ask the person to smile. Is the mouth lopsided or uneven? · Arm Weakness: Is one arm weak or numb? Ask the person to raise both arms. Does one arm drift downward? · Speech Difficulty: Is speech slurred, are they unable to speak, or are they hard to understand? Ask the person to repeat a simple sentence, like “the sky is blue.” Is the sentence repeated correctly? · Time to call 911: If the person shows any of these symptoms, even if the symptoms go away, call 9–1–1 and get them to the hospital immediately.